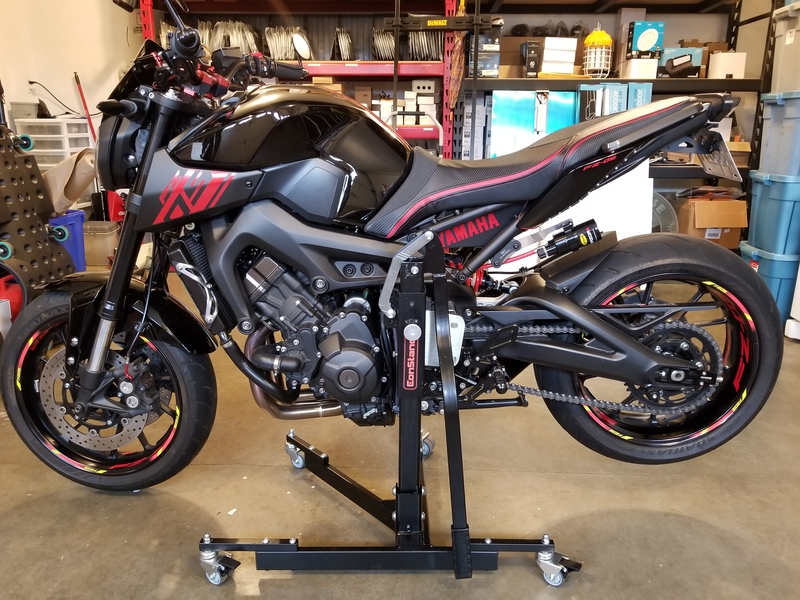 Anyone else here have a center stand/lift? My Constand just shipped, hopefully it will be here later next week. I am curious if it's going to fit without mods as I have aftermarket rearsets and the shift rod is partially blocking what I think will be one of the mounts for the stand. For anyone thinking of this stand, it is well worth the money! I did have to bend the shifter rod slightly on my aftermarket rear sets to accomodate the lift, but other than that it's a great fit. T-Rex front paddock stand issue.